Recorded at McCurdy's Comedy Theater in Sarasota, FL, Supersillyous features Flip doing all new material that covers: sexual inadequacies, gay rights, cruise ships & hand farts...yes, hand farts. As always Flip is at the top of his game while interacting with his audience & creating hilarious moments. 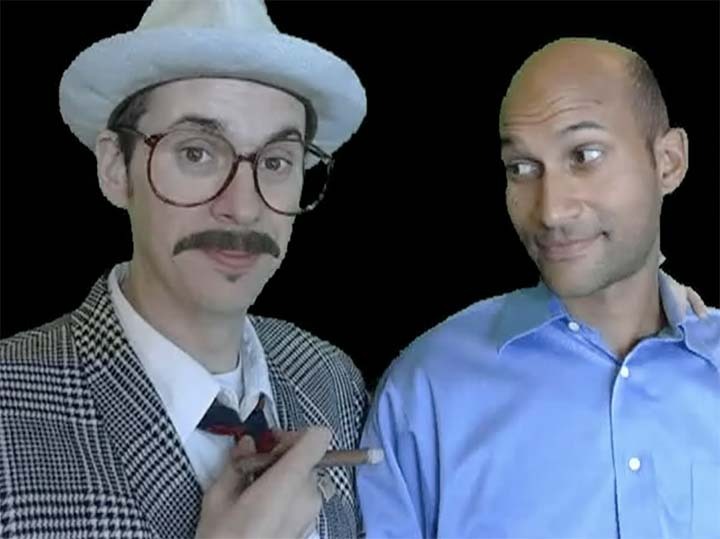 And, per usual, this special includes bonus clips like an improvised rap about "Finding Nemo". This performance shows Flip at his best delivering clever comedy crossed with vibrant characters. It's no surprise that Dana Carvey (SNL, Waynes World) said of Flip: "You're like Jerry Seinfeld mixed with Robin Williams". And Horror Talk's review says that "Kathryn Fiore and Flip Schultz are fully committed to their roles too, never judging the silliness of a line or action and letting us enjoy the parodies as they unfold...if you want a mindless laugh and like ripping on overblown horror movies, give this disc a spin." Also starring Kathryn Fiore, Danny Woodburn and French Stewart. See why stars like Kim Coles ("In Living Color"), Mo Collins ("Mad TV") and Keegan Michael Key ("Key & Peele") are already fans. 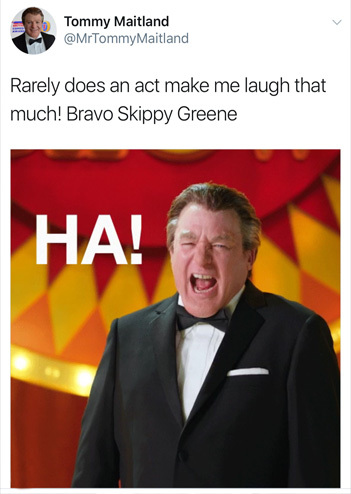 And after Skippy's appearance on ABC's "The Gong Show", host Tommy Maitland (Mike Myers) tweeted: "Rarely does an act make me laugh that much. Bravo Skippy Greene"
To see Skippy in action, click HERE. In his second comedy special, Getting Them On The Chain , Flip is in his zone and tears up the stage with jokes such as: 5 Things, Getting Caught & Helium Planet. Bonus videos include the short film, No Country For Autobots and the Skippy Greene music video, Man About Town. BUT THAT'S NOT ALL! This 2 disc DVD also includes the Flip Schultz documentary Making It Up As I Go Along which chronicles his 2007 tour of Europe. We see Flip reacting to local food like Salty Licorice & local celebrities such as Swedish Yoda. Plus while Flip is on stage, we see how quick his mind is as he interacts with the crowd and even manages to deal with a Heckler or two. Flip Schultz's first comedy special, What Are You Laughing At? !, sees Flip as he returns home to Ft. Lauderdale and practically jumps off the screen for almost an hour performing such high energy routines as: Botox, Florida's Fault and The Shark Bit. You also get an additional 10 minutes of footage from the show PLUS all ten video sketches Flip wrote, directed and produced for his sketch show Flippin' Through The Channels including: It's Good To Be A Celebrity, The New Man Show and Smallville.